One of our all time favorite ways to travel is by road. Prior to having kids road trips were few and far between. Usually just as a means to get somewhere that was too expensive to fly! I wasn’t looking to take it slow, savoring each little moment as much as I do now with a child in tow. And I’m not alone. 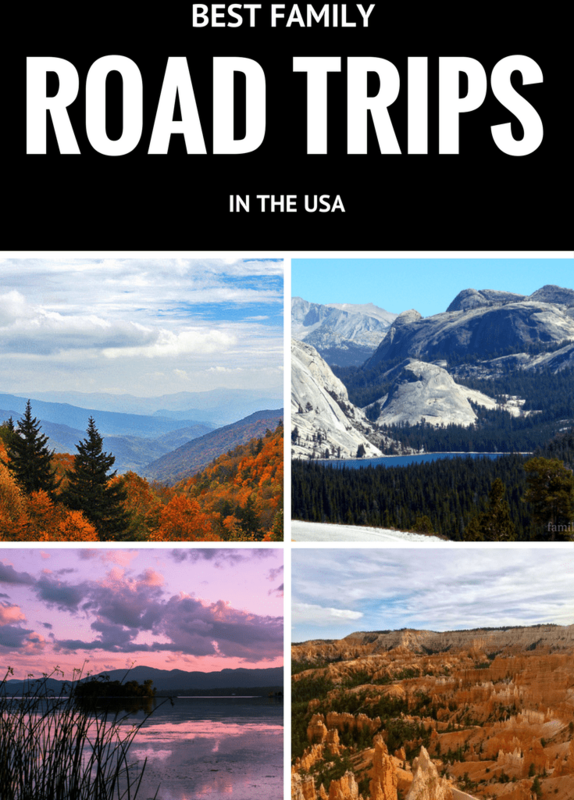 Road tripping is one of the most popular ways for families to vacation. It is cheaper, easier and families can go at their own pace. 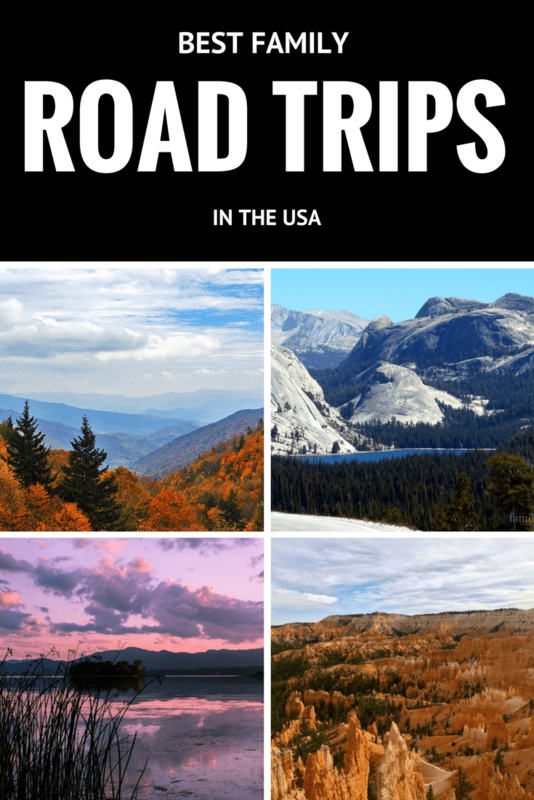 I asked my fellow travel bloggers for their top family road trips in the US that everyone should take at least once. 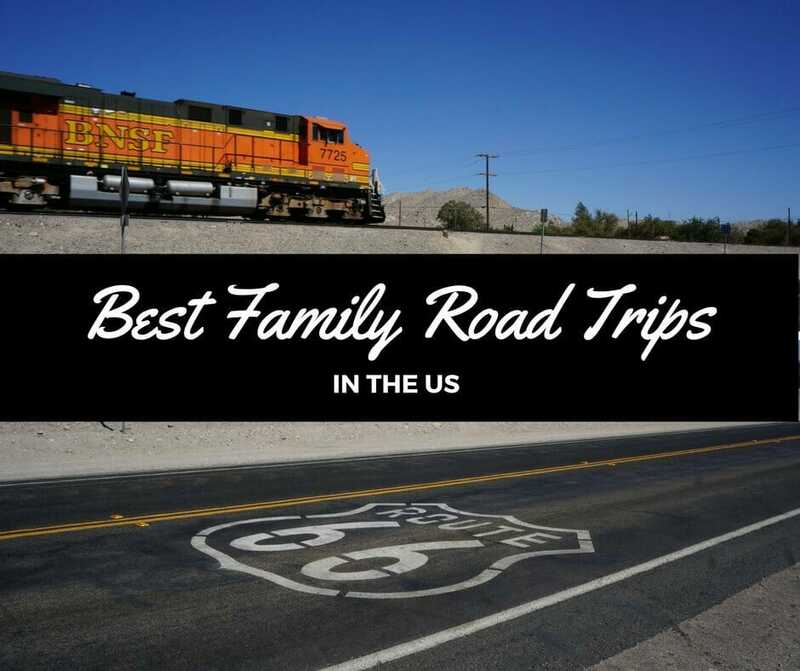 Check out the World’s Best Road Trips for Families! One of our favorite family road trips was around the Big Island of Hawaii. Even though it is a big island, it is still quite doable for a week long family vacation. Our family trip began in Kona where we took in the sites at the City of Refuge (Puʻuhonua o Hōnaunau National Historical Park) and snorkeled with turtles in the shallow waters of Kahalu’u Bay. Our next stop took us down to South Point, the most southern point in the United States, where we watched others jump off a cliff to the icy blue waters below before venturing further down to Papakōlea Beach, one of the worlds few green sand beaches. Hawaii Volcanos National Park was our next destination where we spent a few days hiking through steaming craters, lush rain forests and learning more about how lava has transformed this land. Moving on from the fiery parts of the island, we fully immersed ourselves into the abundance of waterfalls present on the Big Island. The Oregon Coast, one of the most breathtaking destinations in the United States where visitors flock to from around the world, to feel the ocean breeze on their skin as they wind and weave past rocky outcroppings and pristine beaches, stopping to experience quaint fishing villages, lighthouses, and coastal waterfalls. Stretching 363 miles along the coastline where the Pacific Ocean meets North America, Highway 101 connects the Columbia River in the North to the old growth redwood forests in the south of the state. Achievable in a day, however, we recommend at least two or three days for this epic road trip. Brush up on your Goonies movie trivia before heading south from Astoria through Seaside to the iconic Haystack Rock in Cannon Beach. Consider picnicking at Ecola State Park for breathtaking views and moderate- to difficult- hiking along the bluffs. If antiquing is your thing, downtown Wheeler offers a variety of options in the downtown district running along the edge of Nehalem Bay. Or continue to Rockaway Beach for ice cream, kites, and glassblowing demonstrations. If you are in Garibaldi at low tide, look for clams in the mud flats. Tillamook offers plenty of options for the vacationing crowd, from free samples at the Tillamook Cheese Factory to the octopus tree at the Cape Meares State Scenic Viewpoint. Continue on to Neskowin. In the spring and fall, look towards the sea for whales migrating along the coast. Several cruise companies are based out of Depoe Bay where visitors can head out for a closer look on the water. Don’t miss the Saturday Market if you pass through on a weekend. North of Newport, Yaquina Head Outstanding Natural Area is a fantastic spot for tide pool exploration, with a stop in at Rogue Brewing in Newport. Make time for both Thor’s Well and the Heceta Head Lighthouse if you can. Continuing on along the coast, between Florence and Coos Bay is the Oregon Dunes National Recreation Area. The 40-mile stretch of dunes offer many family friendly opportunities for exploration from hiking, to sand boarding, to dune buggy rides. In addition, the area from Coos Bay to Bandon is known for bird watching, so get your binoculars ready. A road trip down the East Coast of the USA is perfect for families who want to see iconic American cities, learn about the history of the US and see how the culture of the US changes from North to South. Traveling from New England all the way down to Florida allows you to see it all! Cities like Boston, New York, Philadelphia and Washington, D.C. have so much for families to do and see. Take your pick from the wonderful museums, galleries and zoos. The historic Southern cities like Savannah and Charleston are highlights for those who love architecture, Southern culture and learning about the region’s history. Of course, there are fabulous beaches like Myrtle Beach, St Augustine and Jekyll Island and you can even detour to Orlando for some time at classic American theme parks. Families can really experience it all on this ultimate East Coast road trip! A Utah road trip is one those trips that you have to do at least once in your life if not multiple times! 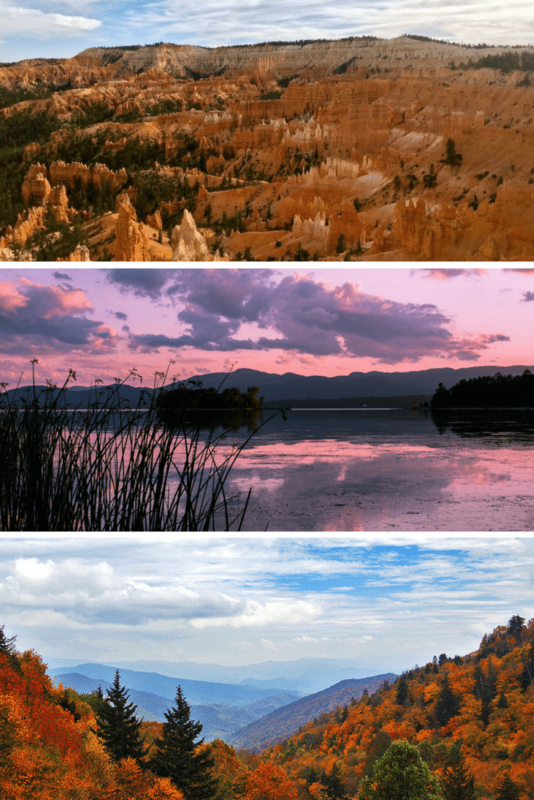 With 5 amazing National Parks there is so much beauty to see and explore. The amazing thing about it is within one state there is such a variety of landscapes. You literally feel like you are flying from one planet to another as you visit each of the National Parks. 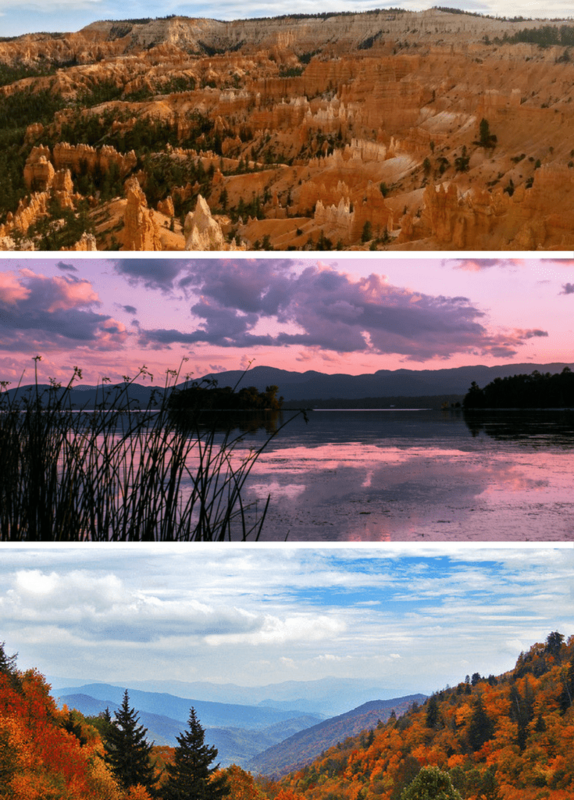 From the amazing arches in Arches National Park to the canyons in Capitol Reef to the hoodoos in Bryce you will be awed and amazed by the beauty that is Utah. On your trip make sure to visit each of the 5 National Parks and if you have kids in tow be sure to stop at Goblin Valley State Park. Goblin Valley is like one large playground! Guess what, the park rangers actually tell you to go climb on everything when you are visiting! My kids loved hearing that and we all had a blast climbing all the rock formations while we were there. One of my favorite family road trips was the one we took in California. With beaches, national parks, city fun and the magic of Hollywood, California appeals to kids and adults of all ages. We spent 17 days traveling from Los Angeles to San Francisco, driving inland as we headed north and taking the Pacific Coast Highway south on our way back to Los Angeles. 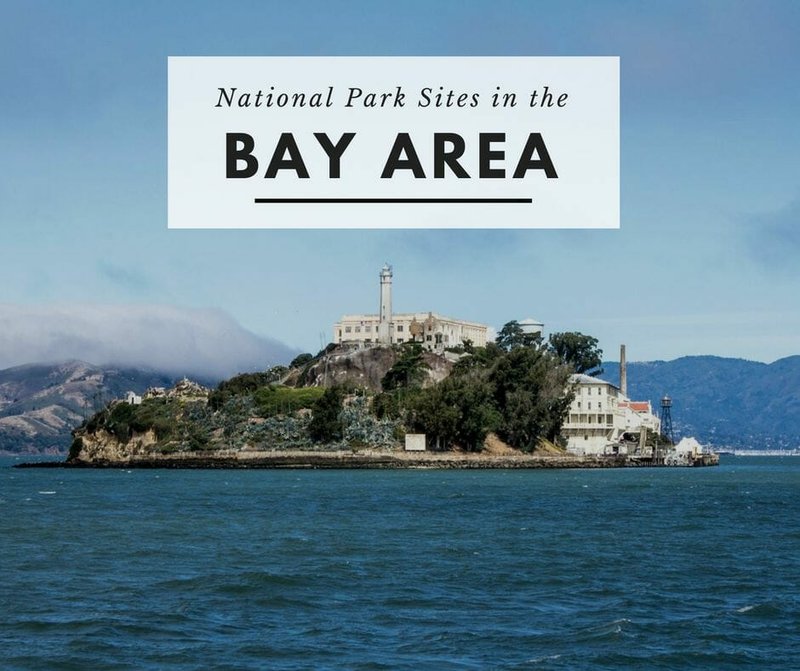 Must visit national parks include Sequoia, Kings Canyon, Yosemite and the rugged Channel Islands. Take the extra time to drive into Kings Canyon, where a short hike in Zumwalt Meadows will reward you with majestic views without big crowds. 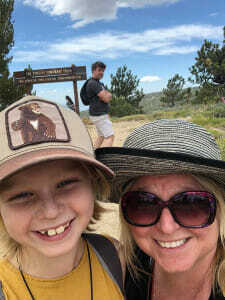 If you’re looking for one of the best family road trips in Colorado, shake out the map and get ready for a unique family vacation to southern Colorado, just 37 miles from Alamosa and 4-hour drive from Denver. Here you’ll discover an often overlooked national park, the Great Sand Dunes National Park and Preserve, home to North America’s tallest sand dunes – as high as 750 feet! Best time to visit is in late May to early June when the seasonal Medano Creek creates a “Rocky Mountain beach” at the base of the dunes. Bring your sled, beach umbrella, swimsuit and flip flops, and get ready to explore! Families can visit this year-round national park for the day, or camp out for the weekend. Be sure to save time to stop by the Colorado Gators Reptile Farm, a short 30-minute drive. What started as a fish farm became an exotic reptile refuge for unwanted, illegal, and abused reptiles from all over, as well as tortoises, iguanas, poisonous snakes, and giant snapping turtles. Kids love this hands-on facility and get up close and personal (yet safe!) with dozens of alligators. Tennessee has so many great indoor and outdoor activities to do with your family! We loved the variety and how depending on the season, everything can look so different. If you can, visit in the fall to see all the leaves changing. The colors and the expanse of tress laid out before you is breathtaking. Our Tennessee road trip starts in the state’s most popular city: Nashville. When you arrive, buy a $5 cowboy hat and get yourself in the country music spirit! Walking the streets of downtown Nashville is a treat in itself but be sure to head into Wild Horse Saloon to experience line dancing too. After getting your fill of country music, head down to Chattanooga to see a waterfall in a cave – seriously. Chattanooga has a tons to do outdoors as well as an awesome indoor rock climbing gym. Your next stop takes you to Gatlinburg and the Great Smoky Mountains. Gatlinburg offers a variety of tourist attractions that are great for families, but don’t miss out on hiking in the Smoky Mountains searching for wild animals. Stop into the Visitor Center for more information on some of the great hikes perfect for families. Grab your Mardi Gras beads and slip on your cowboy boots for one wild and crazy road trip from New Orleans to Austin! In just 10 to 14 days, your family can experience a delicious taste of Louisiana and Texas. Start off with a few nights in The Big Easy – N’Oleans. Spend your days sampling delicious po-boys and sugary beignets, visiting bustling Jackson Square, listening to world-class jazz, and soaking in the vibe of one-of-a-kind Bourbon Street. Be sure to check out the covered French Market, kid-friendly Mardi Gras World and the city’s unique above-ground cemeteries. Then head out of the city to the historical delight that is Laura’s Plantation on your way to Baton Rouge where you can tour the tallest state capitol building and LSU’s mascot, Mike the Tiger. Keep driving and stay for one night in Beaumont. Wake up early and take a tour of NASA Johnson Space Center right outside of Houston. After “oohing” and “aahing” at the huge spacecrafts, settle into downtown Houston for the rest of the day through the next morning. Explore the city’s many fabulous museums and parks. Our favorite is the Houston Museum of Natural Science. Head out before lunch and time your trip to stop along the way for lunch – we chose famed Lulling City Market Barbecue in the small town of Lulling. Make it to San Antonio in time for dinner along the Riverwalk. Two days in San Antonio is plenty to enjoy the Alamo and several of the National Park’s missions. Fill the rest of your time, shopping at the city’s many markets, taking a boat ride along Riverwalk and exploring the city’s parks. Then head to your final stop, the city that prides itself on being weird, Austin. Not everyone has the time or the stamina to road trip the entire length of Route 66, however, there are some great pieces of the iconic route that can be done on its own. One that is perfect for families goes Los Angeles to the Grand Canyon. Technically it can be done in 1-2 days, but allowing yourself a little more time will mean being able to stop and experience it all a bit more. Leaving from Los Angeles, your first stop will be to Elmer’s Bottle Tree Ranch. I have never been here when it wasn’t 100 degrees or more, but it’s still a fascinating place to wonder around for a bit. 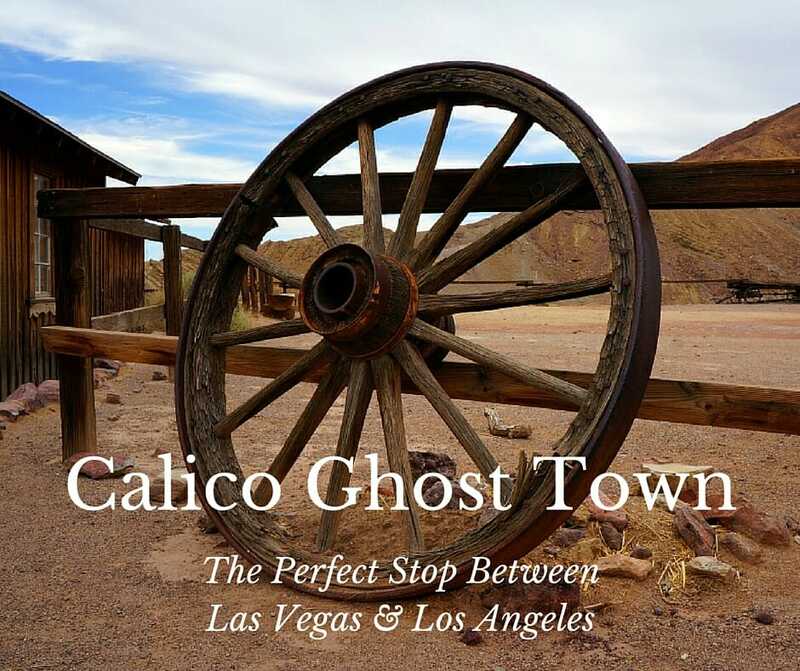 The next stop is a bit away from here, but takes you to an old mining town called Oatman, Arizona. This adorable old western town still has a tiny population of people and large population of wild burros! Kids will love feeding the burros carrots as they wander through town. If you can time it correctly, pop in for one of the wild west shoot out re-creations. Vermont’s Lake Champlain provides recreation, beauty, and solitude for thousands of locals and visitors each year. Highlights of a Lake Champlain road trip include explorations of two beautiful state parks, a visit to Vermont’s largest city, and indulging in the best maple creemee in New England (if you don’t know what a maple creemee is, you really have to visit!). Lake Champlain is 125 miles long, and home to 318 species of birds, 81 fish species, and a mythical and mysterious monster named Champ. New York’s Adirondack Mountains rise up steeply from the western shore, creating a beautiful backdrop for shore-based activities and incredible sunsets. This is a perfect road trip for a long weekend, and is particularly enticing in the summer, when cooling off in the lake is a must! Route 7 runs north to south from Vermont’s southern border all the way to Canada. The portion that hugs the eastern shores of Lake Champlain is aptly named the Lake Champlain Byway. Heading north from the tip of the lake, your first stop should be Button Bay State Park, where you can rent kayaks, canoes, or paddle boards to get out on the water. For your afternoon refreshment, be sure to check out Vermont Cookie Love in Ferrisburgh, where you can try the best maple creemee in Vermont. Heading north on route 7, you’ll pass Mt. Philo State Park – Vermont’s oldest, providing one of the best views of the setting sun and the Lake Champlain Valley. You can hike to the top on a 3/4 trail, or you can drive right to the top for instant gratification. When my son graduated from high school, we wanted to let him choose where we would take our “last” family vacation to celebrate. He chose Hawaii. So at his request we rented a convertible at the Maui airport to drive the famous curvy Road to Hana. Before setting out on the road, I recommend a stop in Paia town to pick up picnic supplies, then plan on informal stops along the way to swim in waterfall pools and to buy fruit and eat shave ice from roadside stands. The road can take all day to drive, even though it is only 44 miles long. You can do it in one day, but I recommend spending at least one night. Two is even better. There are some great trips here that I have added to our personal list. Have you done any of these? What are your top trips all families must do? 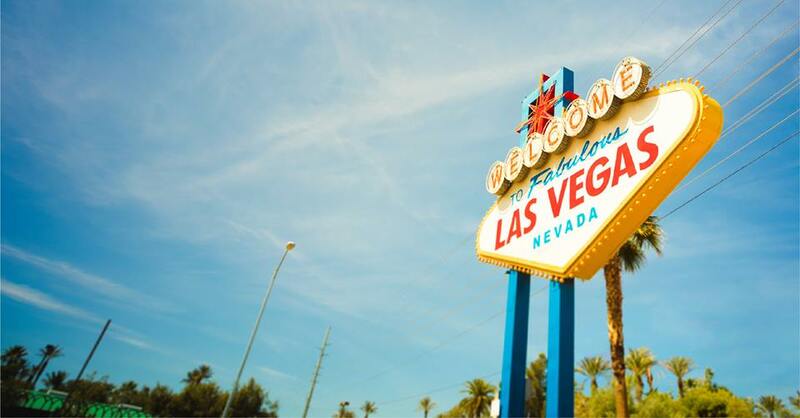 Cheap Hotels in Las Vegas with Hotwire – ACT NOW! The Big Island is top on my list as well! I’m currently planning a trip there for 2018. I’ve been once before with my parents, and now it’s time to take my family. We loved our trip to the Big Island. Definitely try to stay at the cabins at Volcano National park. So fun! I visited there with my family. The big Island looks so wonderful and beautiful.There are many adventurous trips on these place you should visit soon.